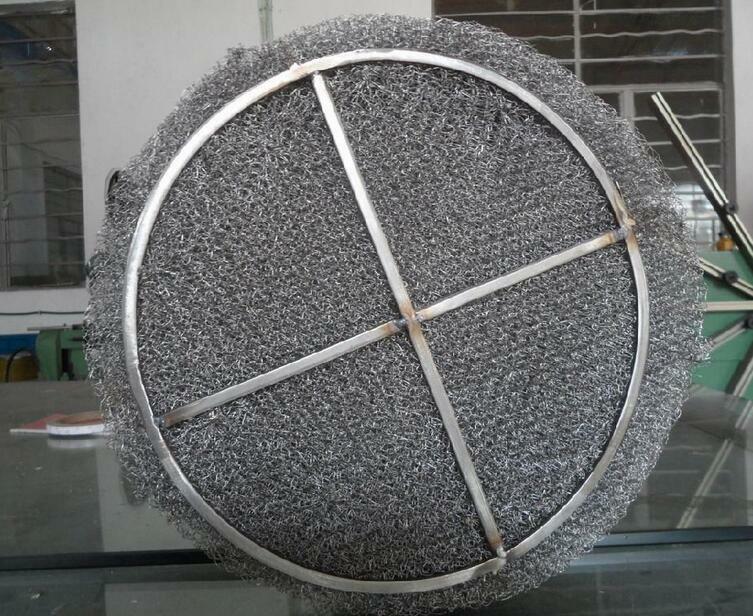 Knitted Wire Mesh demister pad is also known as mist eliminator or sprays. 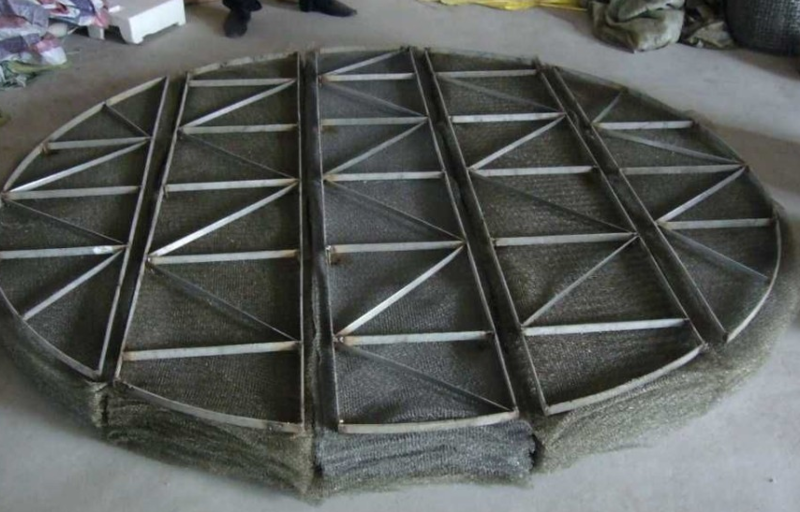 Knitted wire mesh demister pad is supplied in standard, high efficiency and high permeability. Demister Pads are essentially porous blankets of carefully knitted wire mesh designed and constructed to efficiently abate mist particles. Demister pad is mainly used to eliminate streams with diameter of more than 3μm to 5μm. Knitted wire diameter used for the knitting directly affects flow, dirt holding capacity, pressure drop and cost. 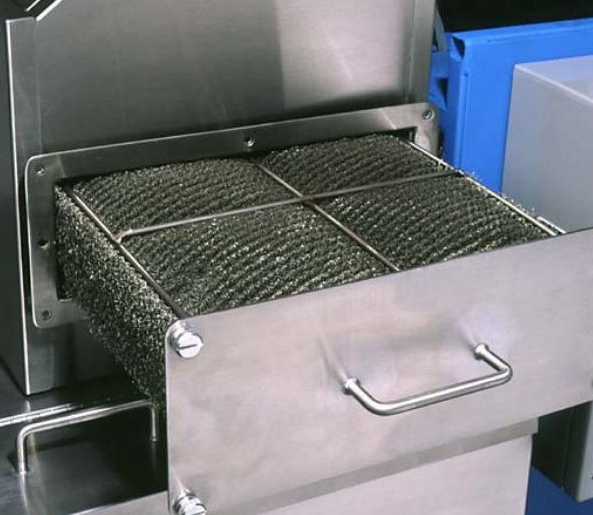 Knitted wire mesh demister pad is used to separate in the most efficient manner the very fine drops carried away by a gas or steam, either at a boiling stage, vacuum evaporation or bubbling of a liquid. In fact there are two phenomena, one mechanical and one physical, but no filtration at all since the size of the held drops has no relation with the infinitely greater size of the pore or open space. The head loss or gas passage resistance is practically imperceptible, however demisting can reach up to 99% efficiency. A demister reaches the highest efficiency when the speed of a gas or steam ranges between certain limits. Features: Simple structure, light, less pressure drop, big surface, high demisting efficiency, easy installation, operation and maintenance and long service life. Knitted Wire demisters uses: Chemical, petroleum, sulfate, medicine, light industry, metallurgy, machine, building, construction, aviation, shipping and environment protection. 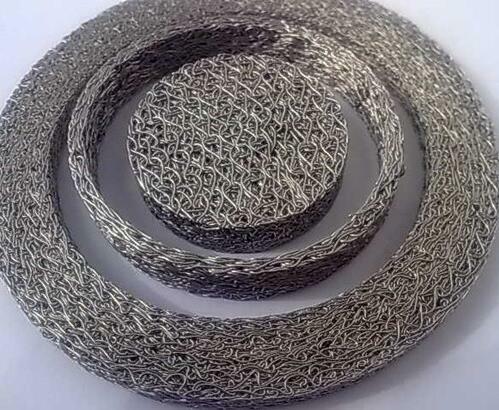 Looking for ideal 316 Knitted Wire Demister Pad Manufacturer & supplier ? We have a wide selection at great prices to help you get creative. 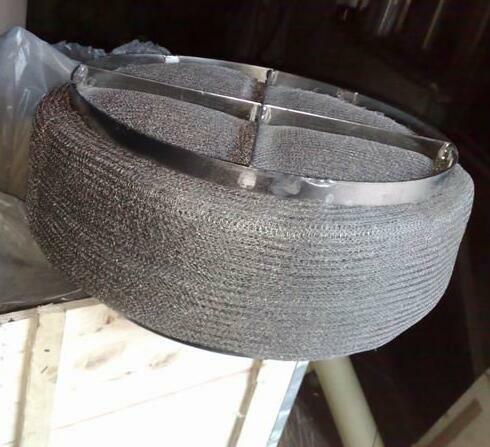 All the 304 Knitted Wire Demister Pad are quality guaranteed. 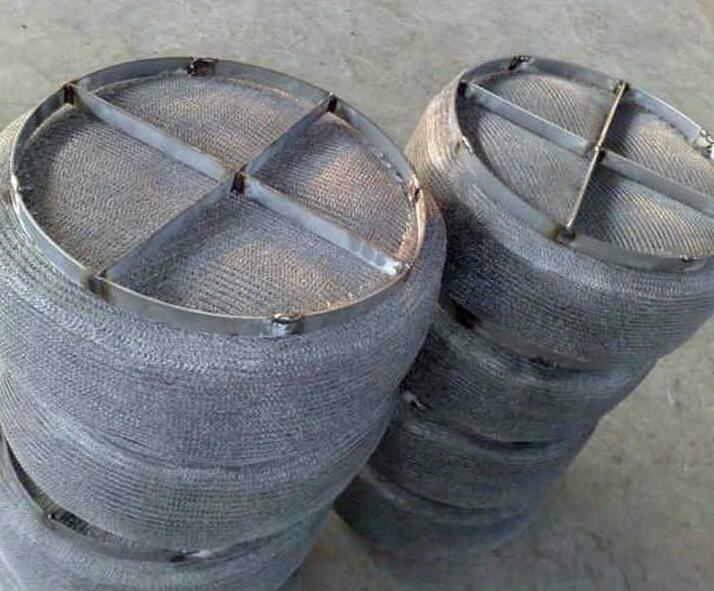 We are China Origin Factory of Stainless Wire Mesh Filter. If you have any question, please feel free to contact us.